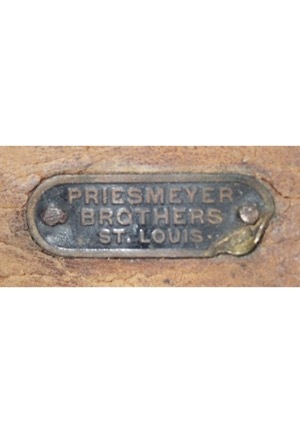 Priesmeyer Brothers St. Louis manufactured travel bag. 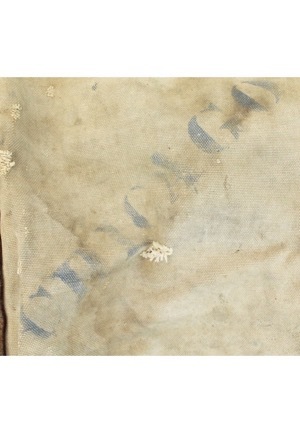 Stamped on the outside of the bag on one side in blue is “CHICAGO CUBS” and “GAME” is handwritten on the other. 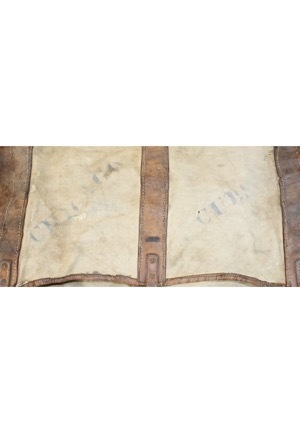 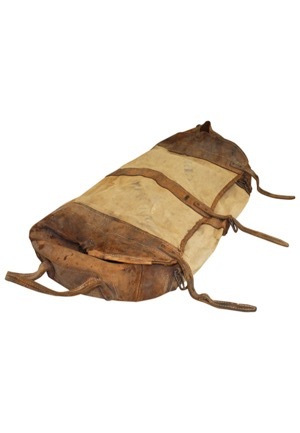 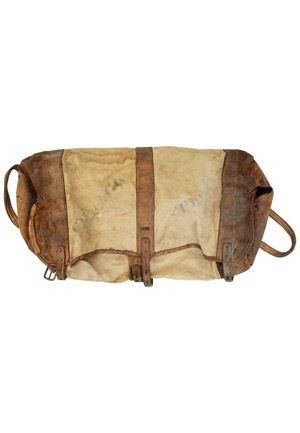 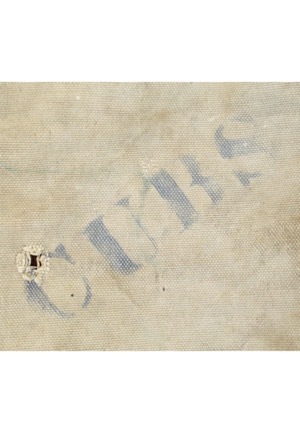 The bag shows obvious signs of aging and condition issues with holes and weathering present.